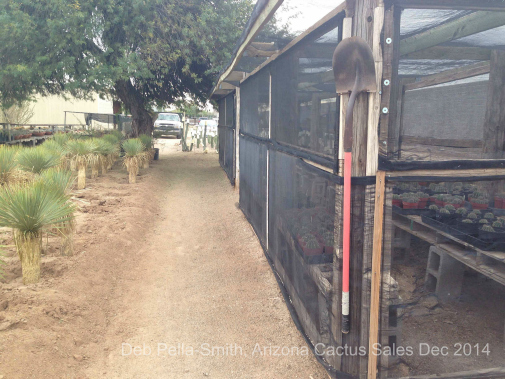 My December trip to the Arizona desert gave me the opportunity to volunteer my hand in the garden at two places. 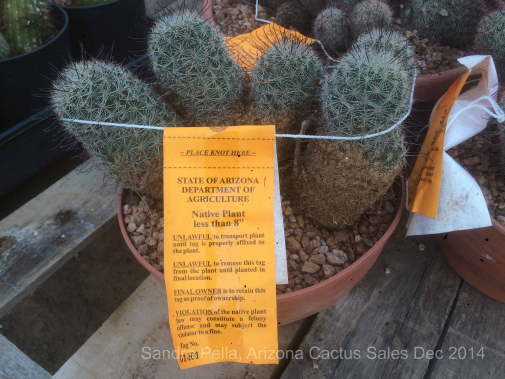 The first, Arizona Cactus Sales, a garden centre & nursery recognized for its excellent selection of quality desert plants. 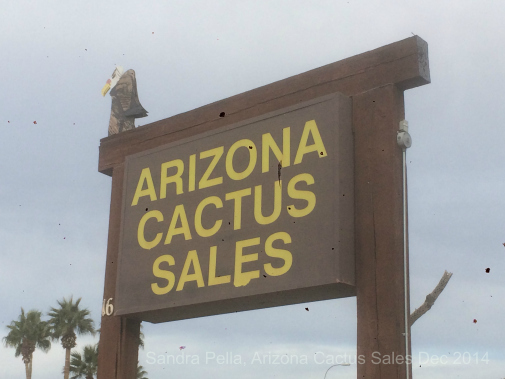 And who else should recruit me on vacation to finally see what working in the low desert is really all about – one guess?! 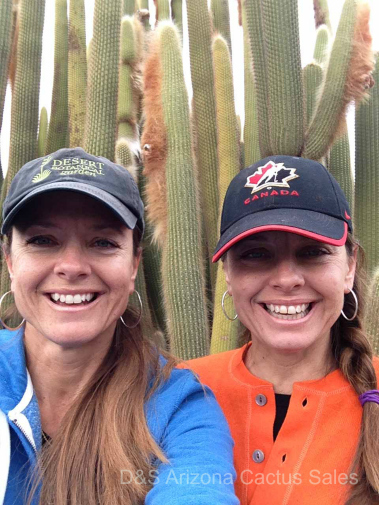 In the above photo we are standing in front of a large clump (easily surpassing 2.5m x 2.5m) of Espostoa guentheri (syn. 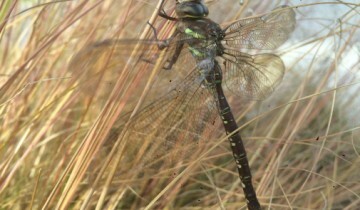 Vatricania guentheri) (red beard) from Eastern Bolivia. The golden-spined stems have varying densities of fox-red, woolly hairs, called cephalia, from which the flowers & fruit come. 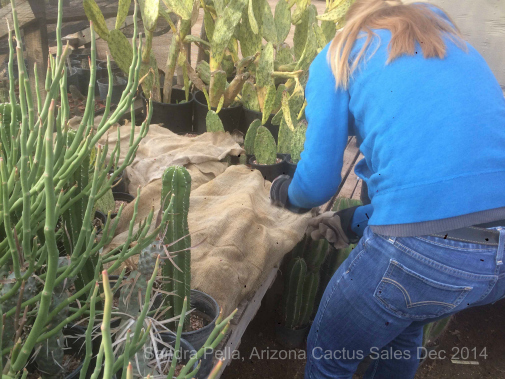 … then cover them for protection; Mexican organ pipe is frost sensitive and more-or-less, grows like a weed. Some gems I had never seen before also found on those benches include Cochemiea poselgeri (syn. 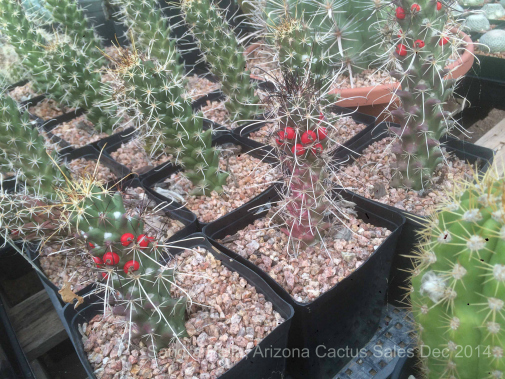 Mammillaria poselgeri) (red-flowered pincushion) with these brilliant-red berries; endemic to Baja, California. 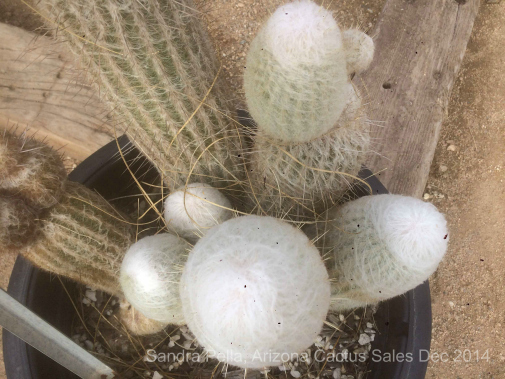 A tray of Micranthocereus flaviflorus, has many plants in, or about, to flower. 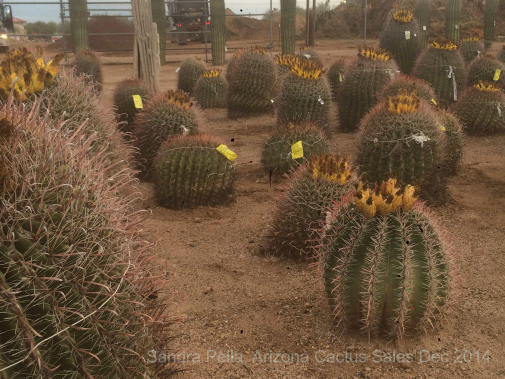 This cactus is endemic to Brazil, and is listed as Near Threatened due to sand quarrying, agriculture, & fire. 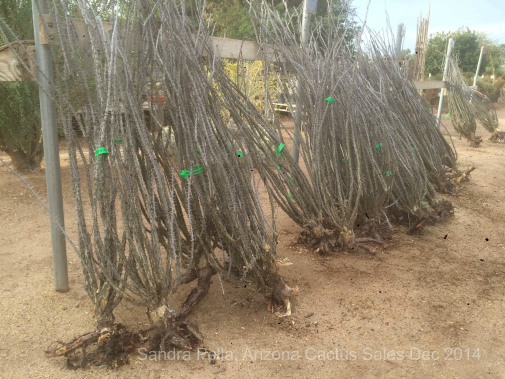 Making our way through the garden centre, Fouquieria splendens (Ocotillo) are lined up in a row, bare-root, ready for planting in your home garden. 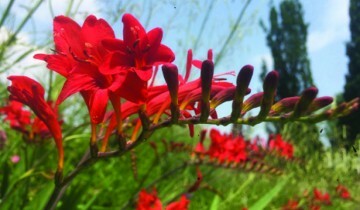 Ocotillos are desert shrubs, leafless most of the year, blooming reliably March through June depending on rainfall. 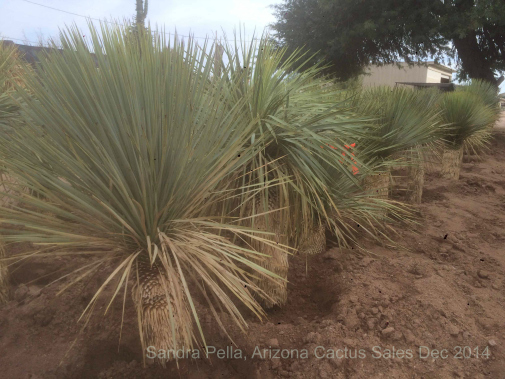 Yucca rostrata (beaked yucca) has been planted in rows for sale in the garden centre. Bring your own pot or bag & we’ll dig it up for you! Did I have a hay-day or what in the nursery!?! 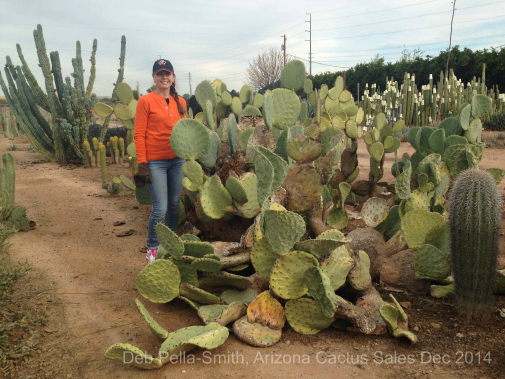 Customers aren’t allowed (lucky me); here with Opuntia robusta (wheel cactus). 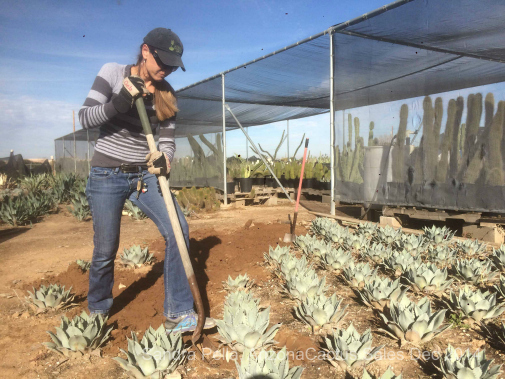 Back to work … transplanting Agave parryi v. huachucensis (Parry’s agave) to be root-pruned, and planted-out for sale. 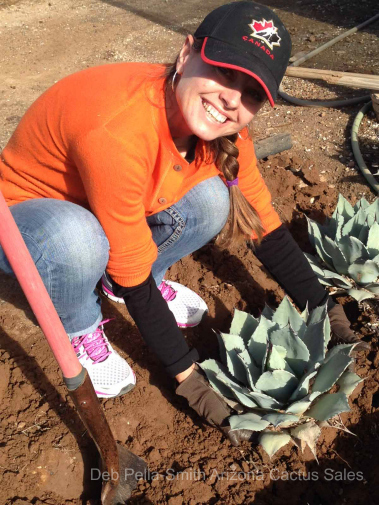 My first agave transplant – they bite, you know! 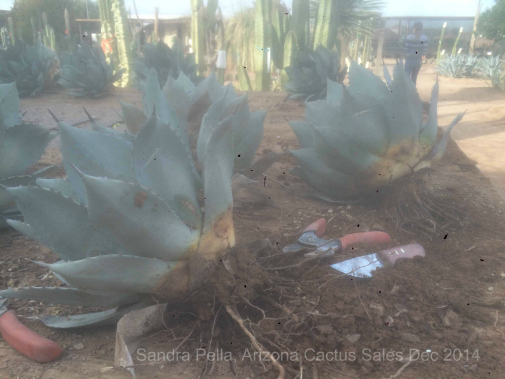 Not the best photo (sun in my eyes) but hopefully you get the idea: root-pruning Agave parryi v. huachucensis. 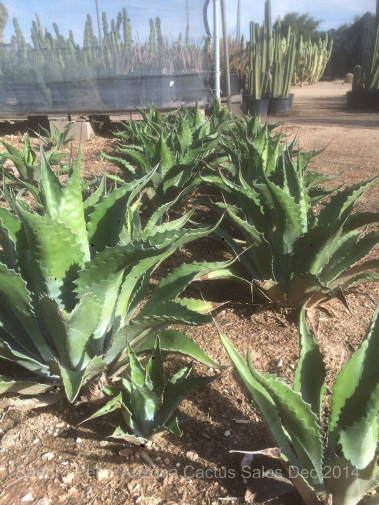 Loving the row-upon-row of plants in the ground; these Agave zebra (zebra agave) demonstrate a greener version of a plant that is usually grey-blue with cross-banding. 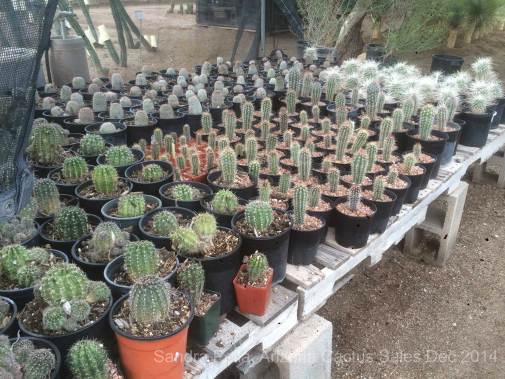 How could I not be part-cactophile with benches filled to over-flowing like these?! 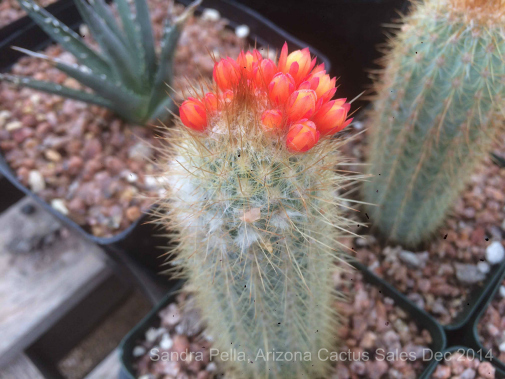 Ferocactus wislizeni (fish hook barrel cactus) in bloom; many have been collected as noted by the yellow tags, either from private property or the wild, under strict guidelines set out by the State of Arizona Department of Agriculture. 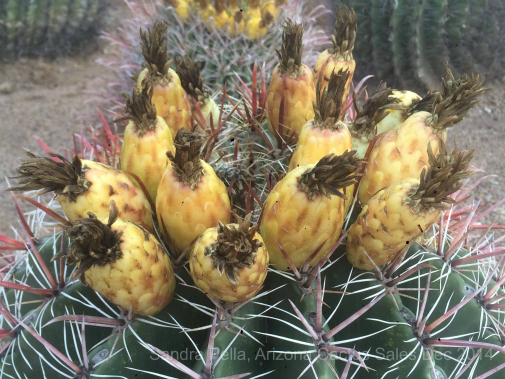 A close-up of Ferocactus wislizeni (fish hook barrel cactus) from flower to fruit; a native to both the Sonoran and Chihuahuan Deserts. 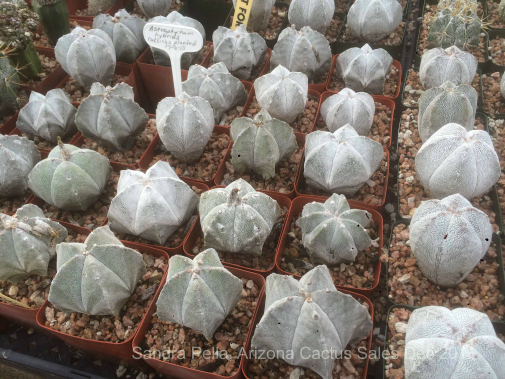 Astrophytum hybrids (living rocks) in the propagation house; a genus of cacti native to North America. 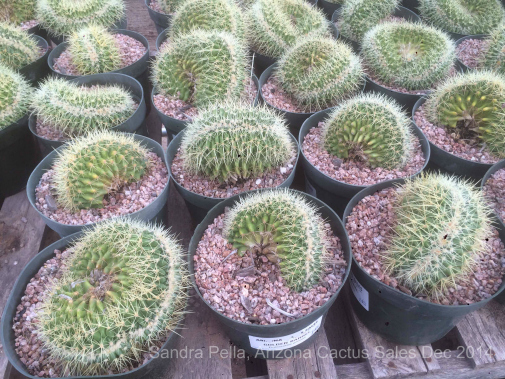 Pots of Echinocactus grusonii f. cristata (crested golden barrel cactus) for sale. 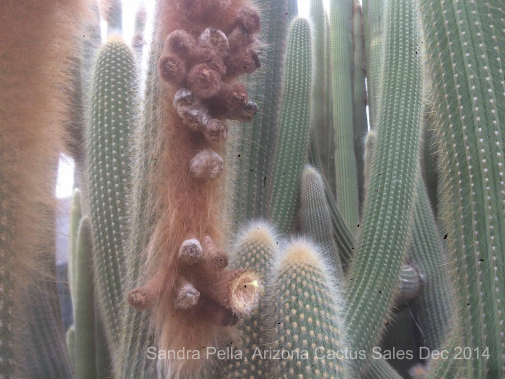 Another cactus I’ve not seen before, Espostoa melanostele (Peruvian old lady), native to the western subtropical mountain valleys of Peru, it is covered in long woolly spines that darken with age. 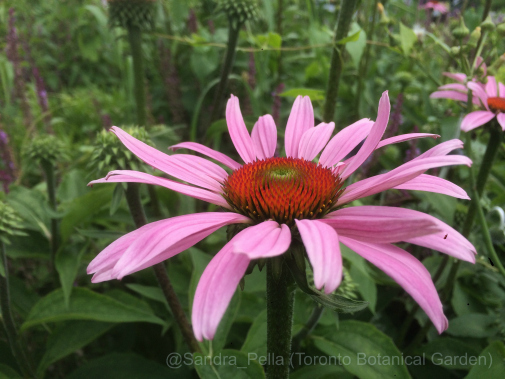 Flowers are rare, white, and nocturnal. 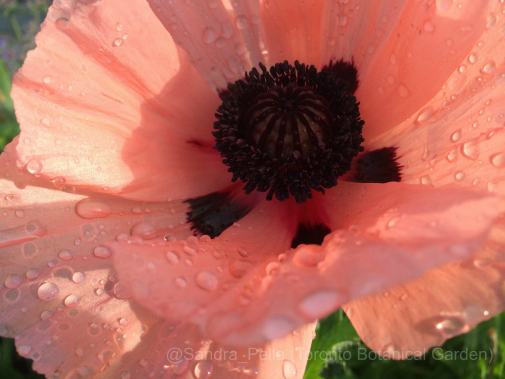 Truly, I could go on & on! 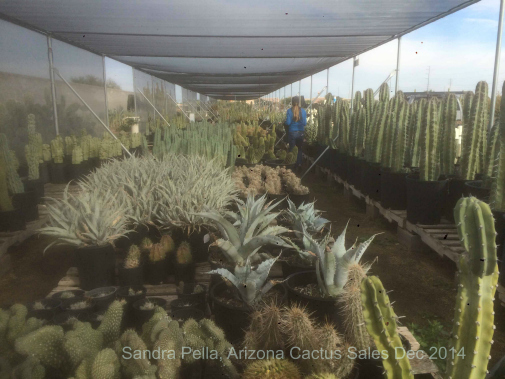 A big shout-out of thanks to Arizona Cactus Sales, in particular Ty Peterson, Manager, for letting me spend a day at work with your fabulous cactus collection. And by the way, there is a shovel on every post!